The California Museum is proud to partner with poster art historians Alisa Leslie and Walter Medeiros to present an exhibit featuring poster art work from the 1960s and 1970s. 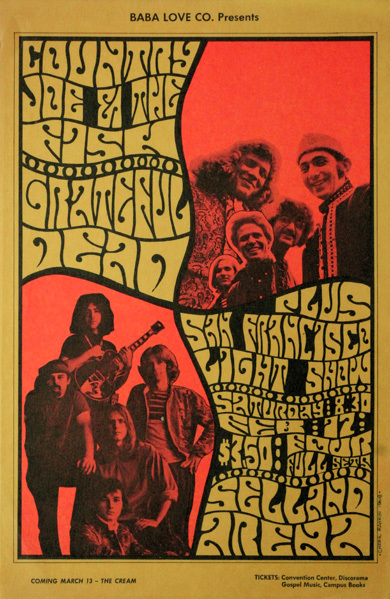 The artwork promoting Psychedelic rock music was as revolutionary as the music itself: wild colors, strange images, dynamic composition, and hand-drawn lettering that could be either gracefully decorative or compacted into dense, nearly unreadable patterns. 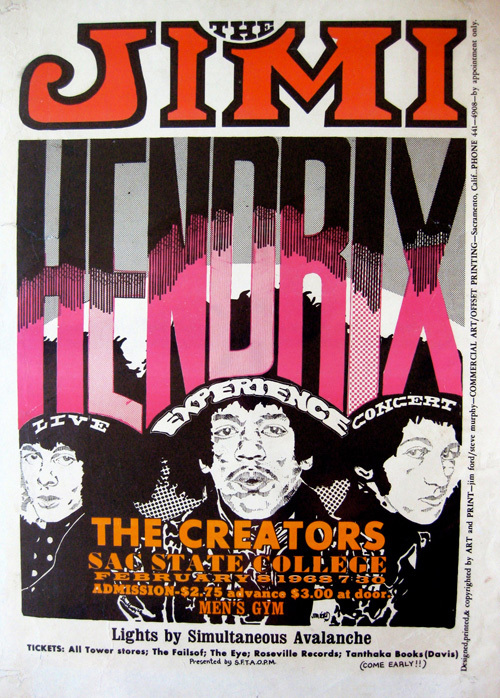 This exhibit will feature promotional posters and handbills that originated from the dance and concert venues of the Central Valley many of which have not been publicly displayed since they were made in the 1960s and 1970s. This poster exhibit is running until May 8th.